Chinese New Year at Towey! | Art Sphere, Inc.
Chinese New Year at Towey! 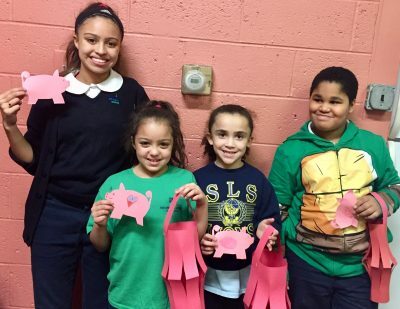 At Towey the students celebrated Chinese New Year and Groundhog day with their art projects. For Chinese New Year, this included the classic red paper lanterns and cut-out pink pigs in honor of 2019 being the year of the pig. 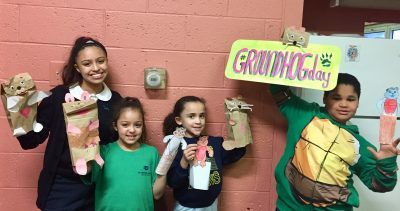 They also created groundhog puppets using brown paper bags, and they decorated by gluing on the ears, paws, and tails. The students also colored a printout groundhog connected to a rectangular piece of paper, which they rolled into a tube to create the illusion of the groundhog peeking out from its tunnel. I think all 4 of these projects were very interactive and fun, and it showed the class the different and less well-known holidays that are celebrated. 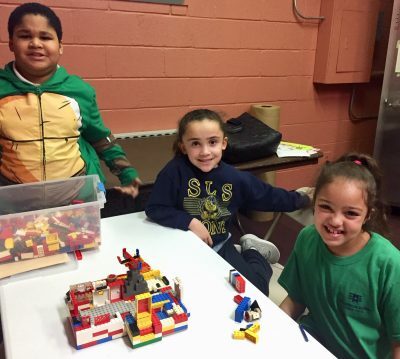 Share the post "Chinese New Year at Towey!"